UPDATE: Eskom said there are no blackouts scheduled for this week as the electrical system has improved marginally. But South Africans shouldnâ€™t rejoice. Khulu Phasiwe, Eskomâ€™s national spokesperson, said the power system is â€œstill vulnerableâ€ and load shedding canâ€™t be ruled out completely. Load shedding could end in the next six months, Eskom CEO Phakamani Hadebe said in an interview with Radio 702 on March 19.
â€œIt will be something that we will be working on to conclude at least for six months or so. After six months, it [load shedding] will be far less than where we are,â€ he said. South Africa was previously experiencing Stage 4 load shedding. However if diesel takes any longer than the week of the 18-24 March to arrive in the country, Stage 5 and 6 load shedding might kick in. We thought we left load shedding in 2014/2015 but surpriseâ€¦ On Monday the country was hit by Stage 4 load shedding, leading even President Cyril Ramaphosa to say he was â€˜shocked, worried, and disturbedâ€™. Hereâ€™s what you need to know about load shedding (which doesnâ€™t seem like itâ€™s going anywhere anytime soon). Eskom says itâ€™s a way to protect us from a total country-wide blackout which is, of course, more serious. A blackout happens when thereâ€™s too much demand and too little supply, which creates a power imbalance and trips the system. Ok. But why is Eskom load shedding? Whatâ€™s up with Eskom these days? Basically Eskom is a mess. The power utility has had serious maintenance issues at plants because of its outdated infrastructure. This is why you probably experienced some load shedding in November and December. Plant breakdowns are also higher than usual which makes performance unpredictable. On February 13, the department of public enterprises released a document that said Eskom is â€œtechnically insolventâ€, and will â€œcease to exist at [the] current trajectory by April 2019â€. Eskom also has a whopping R419 billion debt burden. The document also says that the power utility owes the municipality billions. In Soweto, it currently sits at R28 billion and is growing at a rate of R1 billion per month. Is Eskom going to get any better? Judging by the above, we can hope and we can pray but, probably not. During his State of the Nation address on February 7, Ramaphosa announced that Eskom would be split into three separate entities â€“ generation, transmission and distribution â€“ which would still fall under the company Eskom Holdings. We still have not received a timeline for the splitting up of Eskom, or an explanation as to whether government would consider privatising some parts of it (which trade unions would strongly oppose). Ramaphosa said the utility will undergo a nine-point turnaround plan and that government would step up and foot the bill. Finance Minister Tito Mboweni will provide more details in the Budget on February 20. What does each stage mean? Stages indicate the frequency of load shedding. This means they indicate how many MWs of power is shed, and how long you will have to go without electricity. Luckily, load shedding rotates which means different areas of different cities are being hit at different times. Stage 1 will affect you three times over a four-day period for a total of two hours at a time. It can also happen three times over an eight-day period for four hours at a time. Stage 1 allows Eskom to to shed 1000 MW of the national load. At stage 3, Eskom ups the frequency of stage 2 by 50%. There will be load shedding nine times over a four-day period for two hours each time, or nine times over an eight-day period for four hours each time. Naturally, stage 3 sheds up to 3000 MW of the national load. With 4000 MW of the national load being shed, stage 4 is double the frequency of stage 2. This means you will be experience load shedding 12 times over a four-day period for two hours at a time, or 12 times over an eight-day period for four hours at a time. 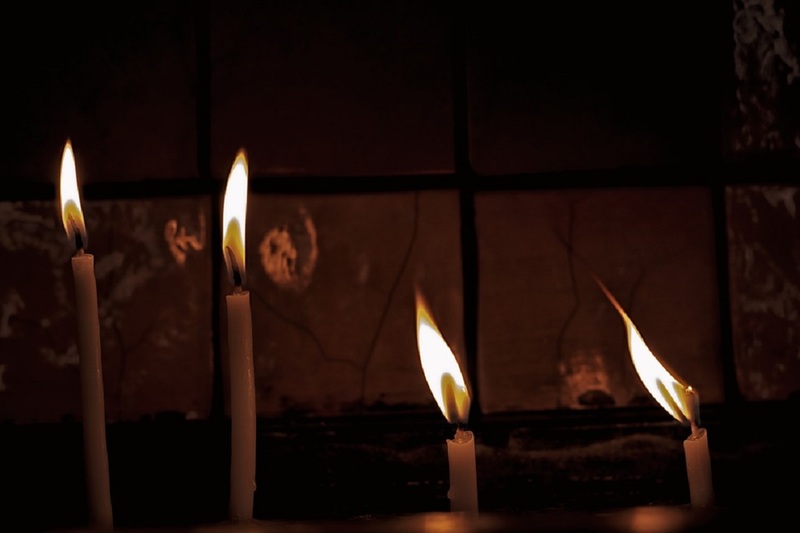 Donâ€™t panic or anything but Eskom recently announced that it would be expanding its load shedding plan from four stages to eight stages. This will allow from 5000 MW and up to 8 000 MW to be shed from the national grid. Eskom has said it is highly unlikely that stages 5-8 will ever be instituted. But you never know. If, for some reason, more load needs to be shed then we will experience extra, unscheduled load shedding. Basically, you can experience a blackout at any time without warning. How can I check my load shedding schedule? The actual stage in use at the time will be displayed on the main Eskom website and on the home page of the Load Shedding Website. The information will be on the websites even if Eskom does not supply electricity to your municipality. You can also download the MyEskom app or the Eskom SePush app onto your smartphone. Be strong South Africa, and keep the candles and matches at the ready.